Bollywood actor and stand-up comedian Kapil Sharma has survived a tumultuous 2017: a public fallout with his colleague Sunil Grover and his ongoing battles with anxiety, alcohol addiction and anger management. But Sharma, who was in Dubai recently to promote his new comedy Firangi, out in the UAE on November 30, was rigidly fatalistic when asked about those violent episodes that fractured his life and career. His decision to visit GuruNanak Darbar, a place for worship for Sikhs, before beginning his round of interviews for Firangi with the local press in the UAE, was oddly symbolic too. He looked at peace. “As long as there’s life, my life lessons will continue. Life is a learning and you get to keep learning each day. I will continue to learn as long as I breathe, will continue to learn till I get a call from the almighty,” said Sharma in an interview with Gulf News tabloid!. He claims he wasn’t in a mental state to promote Firangi, but he felt obligated to since he felt responsible for the film. The self-made actor plays the lead role in Firangi and has also produced the comedy. “I was asked to take bed rest and exercise, because I had just stopped exercising. But when you have a movie releasing, it doesn’t make sense if I don’t go out and support the movie. That’s a bad thing … if you make a good product, then it’s your obligation to tell those people who have loved me unconditionally about its release.” Sharma reveals that he intends to take a monthlong rest after the release of Firangi, a comedy about a young man who starts serving the British during the 1920s in precolonial India. “I want to take a break mentally and physically. I want to come back fresh because I have been working continuously since 1997. I have never taken rest and it’ the first time in my life that I am taking rest.” He needs to re-charge his batteries and Sharma promises that the self-imposed sabbatical will see him return in better form. Sounds like a fair promise. As you chew on that, here are the excerpts from our interview about Firangi and more. Firangi is a story set during 1921, British Raj. We had an observation: all the movies that were made during the partition era invariably showed the dark and the tragic side. My grandfather, who was from Pakistan, used to share sad stories about displacement, but he also regaled us of a time when people used to celebrate Eid and Diwali together. Those happy tales spurred the idea for Firangi. So we thought, why not make a film that showed the normal life and the love that blossomed between a couple in the pre-partition era? The romance in those days were innocent. The guy from a village used to trek for 10 kms to another village to catch a glimpse of his crush. In my mother’s village, our elders used to drive home the point that all the women in our village were our sisters and so we didn’t look at them with romantic interest. So that meant we are likely to only fall in love with women of another village. I wanted this generation to witness that kind of pure love. We have heard such tales of forbidden romance only from our elders, now you will see it in Firangi. Tell us about your role in Firangi. I play Manga, who doesn’t have a job. So when he sends across a proposal for marriage to the girl’s family that he’s in love with, he’s rejected because he’s jobless. The girl’s family rightly asks him about how he will take care of his future wife. So after much difficulty, he manages to get a job with the Englishmen and their military. Now with a secure job in his hand, he goes back to the girl’s elders to propose marriage again. But the elders in her family get more agitated this time around because I am now working with the British. They are the followers of Gandhi ji and they shun his proposal claiming that being jobless was better than working with the Englishmen and their armed forces. But he’s in a Catch-22 situation because he’s strapped for cash. 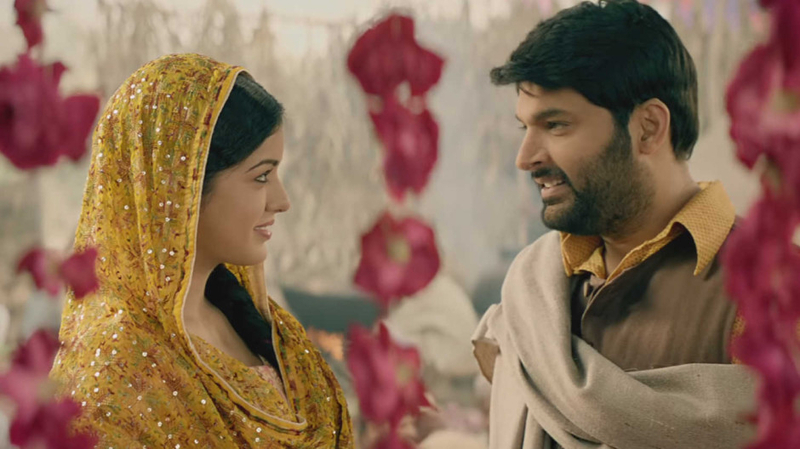 Firangi is Manga’s comedy of errors. In an effort to impress the girl’s family, he unwittingly depresses them. In the trailers, Manga is shown as a man who loves to kick people’s backside. What’s that all about? In Punjab, if a baby is born breech [when a baby is born bottom first instead of head first] then it’s believed that his legs have healing powers. So all he needs to do is kick a person on their backside and they get magically healed. I have used that personal story in my movie. Remember, during the early days there was a lot of belief in self-healing and not on science per se. Ravij Dhingra, the director, is my friend from school. He knows me from my childhood and he knows what I am comfortable doing. He hasn’t made me do anything that’s awkward for me. I have done stuff that I was comfortable doing in this film. I know, as actors we should be willing to experiment but you have remember that comedy and my career in it happened to me by accident. Earlier, when I began theatre I used to be a part of serious plays. It was only during youth festivals that I began to realise that comedies interested me. I love comedies because there’s an instant reaction from the public. In a tragedy, it’s not easy to gauge when people become teary or emotional. There is no way of really knowing it. He may be crying inside, but I am in love with the tinkle of laughter. And I hope Firangi makes people laugh. Manga is a classic underdog tale. You aren’t laughing at him, but it’s the situations in his life that make it funny. But as a producer, I signed cheques from my heart. 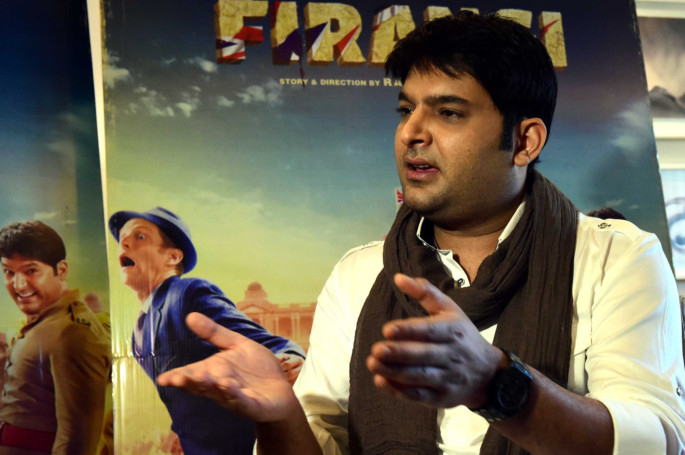 What was the most challenging part about Firangi? It’s a story set at least 100 years ago and to create sets that looked authentic wasn’t easy. We had to re-create the clothes, the people and the kind of homes they lived in. We built an entire village on the sets of a lake and we had to source bullock carts and vintage cars. Firangi releases in the UAE on November 30.